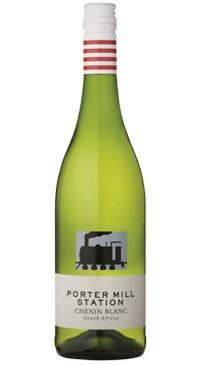 Porter Mill Station falls under the umbrella of Tulbagh Winery. The name is in homage to the early settlers and the railroads that would transport the goods they had worked on. Tulbagh Winery was founded in 1906, in the fertile valley known as Het Land van Waveren, Tulbagh Winery has been producing quality wines ever since. Producing some of the country’s best, Tulbagh Wines cover the full spectrum of South Africa’s best cultivars, with the emphasis on fruity blends that reflect the friendliness of the region. This great value wine shows light apple and pear fruit on the nose and palate. Soft, subtle and easy drinking. Not bone dry, so pairs well with lightly spiced foods, light seafood and on its own. This has lovely weight and richness around the edges, but at its core it is crisp and refreshing – a perfect balance!